First off, a huge thank you to everyone who participated in our Closed Beta these past few weeks. Your suggestions have been crucial in providing our team with direct and meaningful gameplay feedback. We can’t even begin to express our appreciation for all of the time and effort you’ve spent helping us test and improve the game. After much consideration, we’ve decided to postpone the current PC-only release date and launch simultaneously across PC and PlayStation 4 this summer. We’ve always envisioned PlanetSide Arena as a way for players to experience the epic gameplay of the PlanetSide universe, through fast-paced, combined arms combat and massive-scale multiplayer modes. 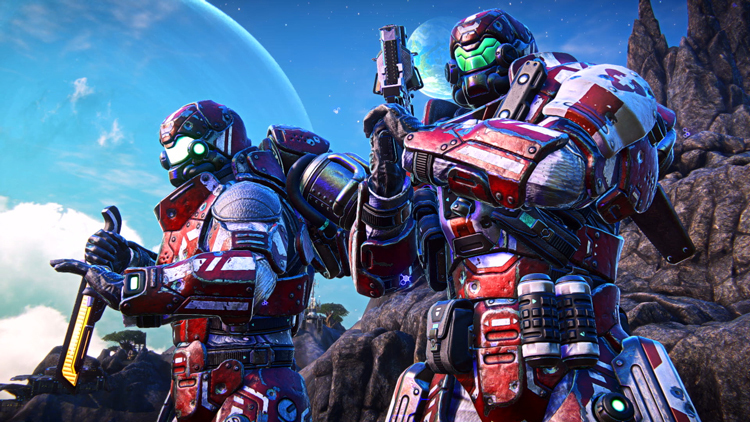 We believe that delivering the most polished version of PlanetSide Arena that meets these expectations, on both platforms, outweighs any other consideration. In light of our revised launch plan, we are refunding all Planetside Arena pre-orders. We’re committed to continuing and expanding our Beta testing program as we ramp-up for our multi-platform launch this Summer and will share more details soon. You can visit the Steam Help page for more information on refunds. Thank you all again for your amazing support. We’re very excited about the future and can’t wait see everyone back in the Arena! Additional Beta periods are planned throughout the next few weeks, and we’ll be providing schedule updates on our official forums, on our social accounts (Twitter, Facebook), and on the main PlanetSide Arena Closed Beta FAQ. 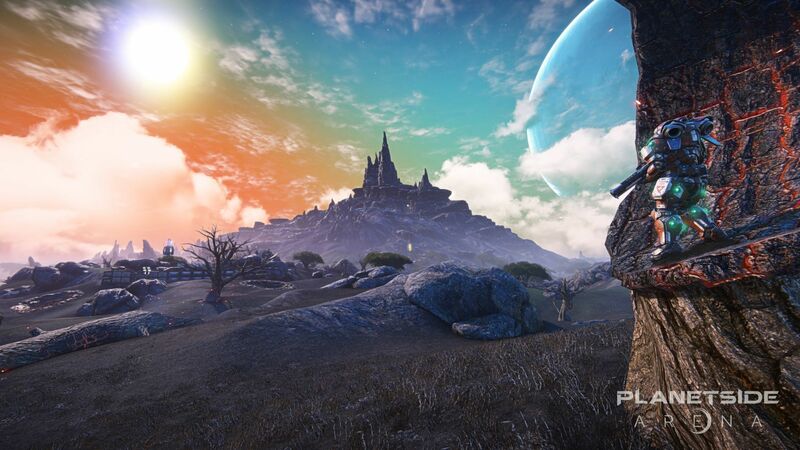 PlanetSide Arena is currently available for pre-order on Steam, with your pre-order granting immediate access to Closed Beta (as well to the exclusive Founders Season kicking off next month). We are looking forward to seeing everyone in the Arena! Battle Pass Season 1 is included with your pre-order purchase of PlanetSide Arena. Level up your Battle Pass throughout the Season and unlock 80 tiers of powerful weapon blueprints and cutting-edge cosmetics. Use your blueprints to customize your loadout before you drop in, then purchase upgrades at terminals across Auraxis using in-match currency. Plunge into PlanetSide Arena and battle online in this massive multiplayer sci-fi arena shooter. Choose your class, fuel your jetpack, and drop into the fray on the war-torn landscape of Auraxis starting summer 2019. If you want to come out on top, you'll have to go all in to rule the Arena. Join the fight in a massive clash with 250 vs. 250 player arenas, or survive the mayhem of battle royale by yourself or with your squad. Keep your eyes ahead for new modes each Season, including Search and Destroy, Deathmatch, Global Conquest, and more. Traditional arena warfare leaps into the future with multiple classes and styles of play. Assault, Engineer, Combat Medic – each class features unique abilities made for you to rule the Arena. A broad selection of futuristic vehicles – tanks, ATVs, jetpacks, and more – goes beyond modern infantry warfare. Propel into the sky and rain death from above, or grind the competition to dust under your treads. Up to 500 players wage war across an immense, ravaged warzone, on a scale unrivaled by any other arena game. ©2018 Daybreak Game Company LLC. Daybreak, the Daybreak logo, PlanetSide and PlanetSide Arena are trademarks or registered trademarks of Daybreak Game Company LLC. The ratings icon is a registered trademark of the Entertainment Software Association. All rights reserved.